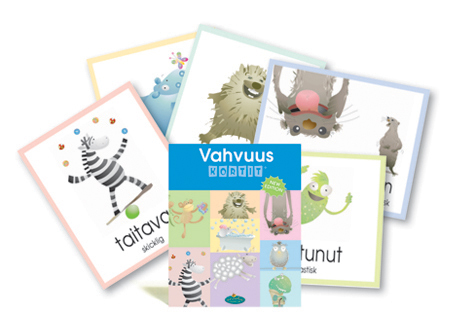 For many people the Strength Cards (or Vahvuus Kortit for our Finnish customers) have been life-changing, which is why the cards are used by thousands of family workers, teachers, counsellors, trainers and parents worldwide. Vahvuus Kortit was developed in association with colleagues in Finland, originally for use by Finnish human service professionals. However, the cards are equally suitable for Finnish families and for Finnish expat communities around the globe. Use Vahvuus Kortit for a whole range of purposes that include helping people identify their strengths and skills, goal setting, exploring values, critical reflection, evaluation and creative writing. They’re even useful for job interviews and public speaking at birthdays and funerals! 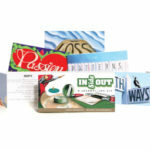 For more than 20 years, people around the world have been drawn to Strength Cards / Vahvuus Kortit by the cards’ simplicity, gentle humour, plain language, versatility and conversation-building capacity. Use them to spark curiosity and ignite a multitude of questions—because wherever we go, whatever we do, strengths are with us… and everyone has them!